Users are often asked to enter different data depending on how earlier questions were answered. There are cases where some additional information may be optional or mandatory depending on how the user responds to earlier questions. 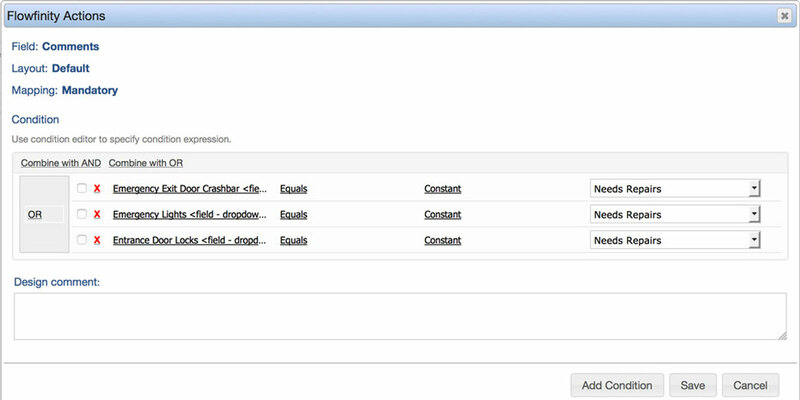 In Flowfinity, you can create custom conditions for each field to ensure users enter additional data when required. 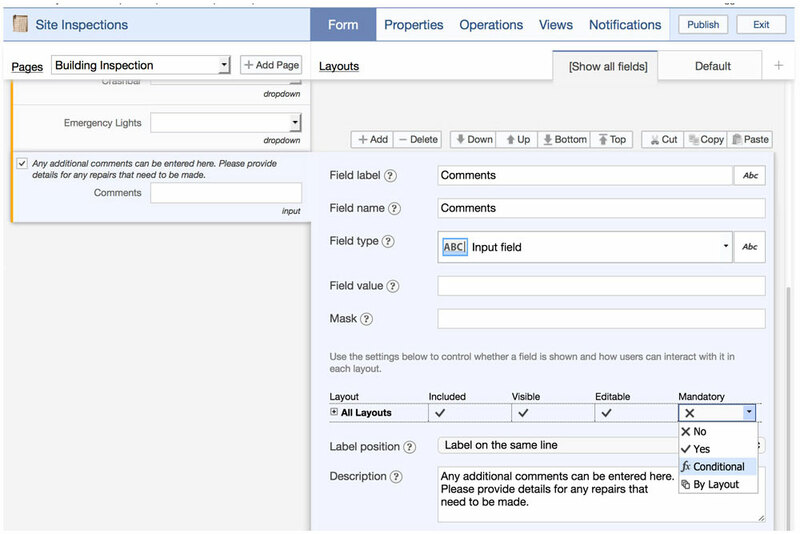 A user filling in a site inspection form is able to provide additional information in a 'comments' field if necessary. 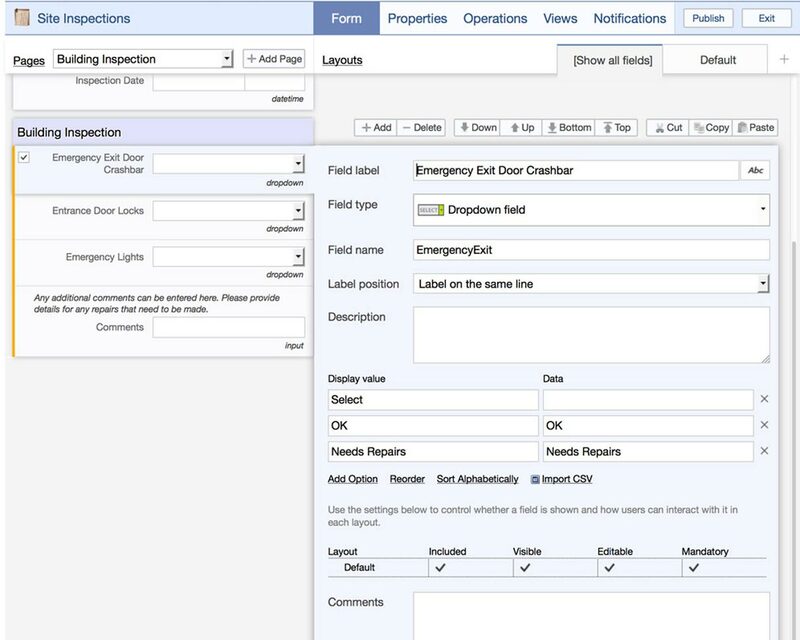 However, if the user has previously indicated that repairs are required, the user must enter in additional details into the 'comments' field. Enter the conditions that describe when the field will be mandatory. If the conditions are met, the field will be mandatory. Otherwise, it will be optional.